The reaction to the changes has been somewhat positive. The Hearthstone community was rocked yesterday with the announcement of four big nerfs coming next month. 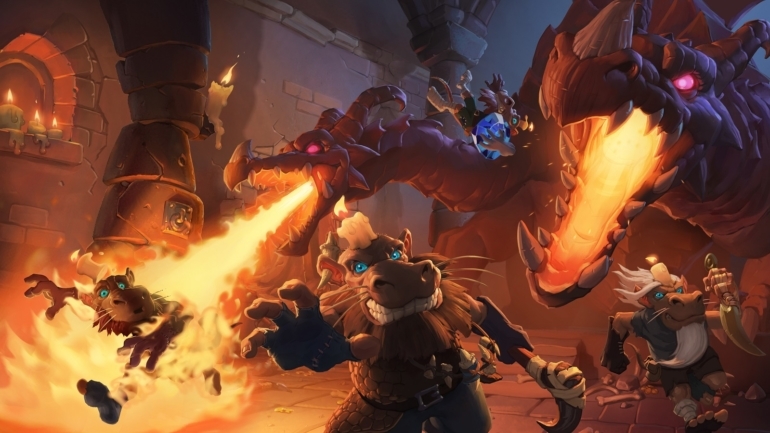 The 10.2 patch, scheduled for an unspecified date in February, will bring with it changes to four of the strongest cards in the game right now in a bid to redress the balance in the meta. Corridor Creeper is the hardest hit. The card has been an auto-include in aggressive decks ever since it was released in Kobolds & Catacombs. Now it’s gone from a 5/5 to a 2/5 in one of the most dramatic nerfs the game has ever seen, most are predicting it’s all but dead. The other changes are to Raza the Chained (hero powers are now reduced to one instead of zero), Bonemare (up from seven to eight mana), and Patches the Pirate which no longer has charge. The Patches and Raza changes are the most surprising, simply because the cards are already due to leave the Standard format by the end of April or so anyway. But clearly Blizzard is concerned about both their immediate impact, and the impact of those cards on Wild. Some however are very concerned about the strength of Warlock. Cubelock and Control Warlock are very strong, especially in competitive play, and it could become oppressive with most of the other top contenders swept away in these changes. While most opted to give their thoughts on Twitter in words, others were too hurt by the loss to express in anything other than the purest form—memes.